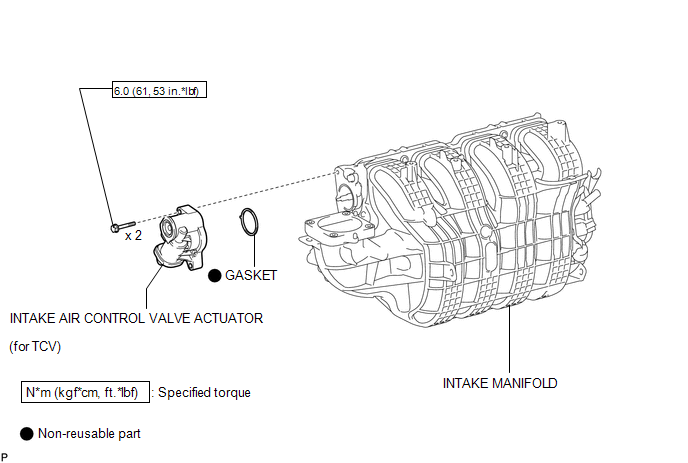 (a) Remove the 2 bolts, intake air control valve actuator and gasket from the intake manifold. Make sure that foreign matter, such as water, oil, sand and iron particles, does not enter the gear chamber or actuator at the locations marked by the circles in the illustration. 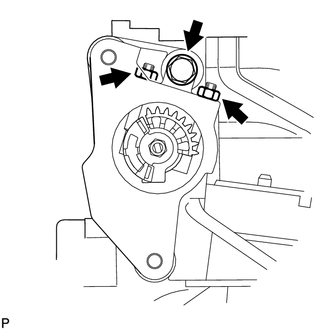 Do not loosen or remove the bolt and 2 nuts shown in the illustration. 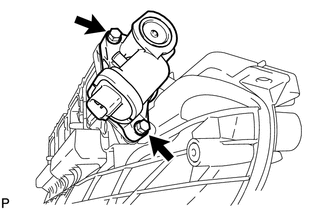 (a) Check the intake air control valve actuator operation. 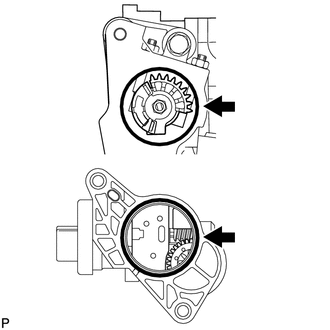 (1) Check that the motor operates when the battery is connected to the terminals of the intake air control valve actuator. 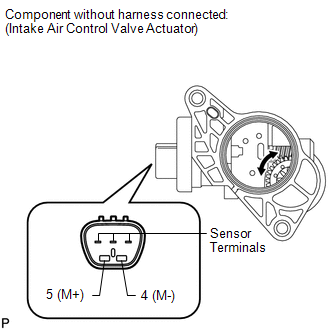 If the positive (+) and negative (-) battery leads contact the sensor terminals, the actuator may be damaged. 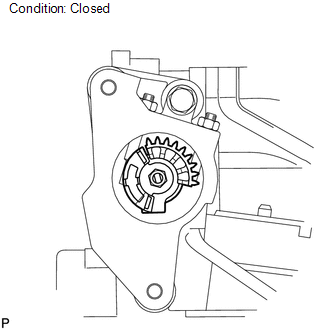 If the result is not as specified, replace the intake air control valve actuator. (a) Close the tumble control valves. If the tumble control valves are not closed, close them by hand. 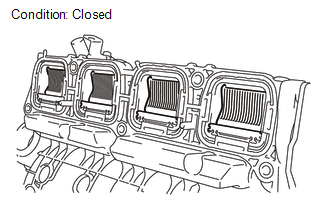 (b) Check that the gear of each tumble control valve is in the position shown in the illustration. Turn the gear clockwise until it contacts the stopper. (c) Install a new gasket to the intake air control valve actuator. (d) Install the intake air control valve actuator to the intake manifold with the 2 bolts. If excessive force is applied to the gear in the direction of rotation when installing the actuator, the valves and actuator may be damaged. After installing the actuator, make sure the ends of the valves are not protruding from the surface where the intake manifold is installed. If the valves are protruding, remove and reinstall the actuator.